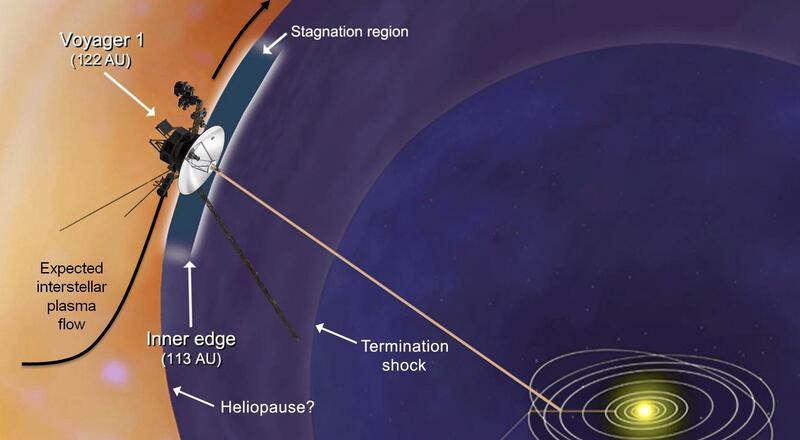 This artist's concept shows plasma flows around NASA's Voyager 1 spacecraft as it approaches interstellar space. 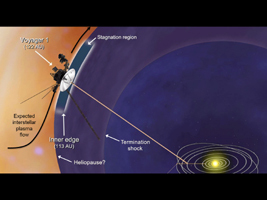 Voyager 1's low-energy charged particle instrument detects the speed of the wind of plasma, or hot ionized gas, streaming off the sun. It detected the slowing of this wind, also known as the solar wind, to zero outward velocity in a region called the stagnation region. 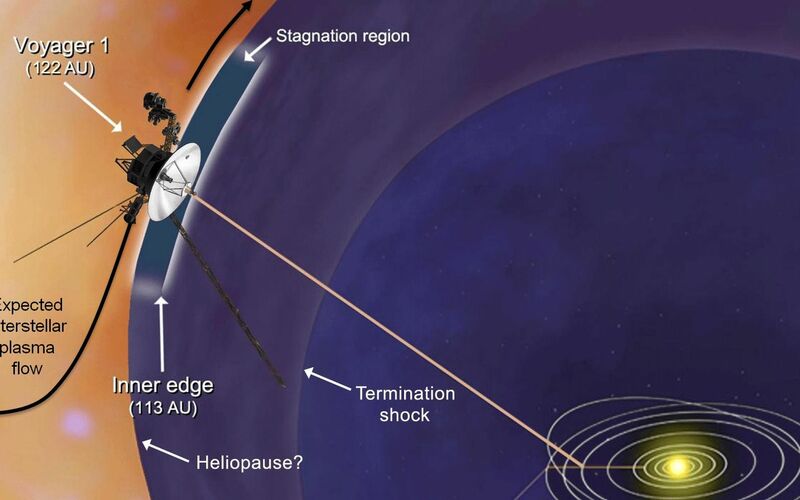 Scientists had expected that the solar wind would turn the corner as it felt the pressure of the interstellar magnetic field and the interstellar wind flow. But that has not happened so far, so it is not clear what should be expected once the spacecraft reaches interstellar space. 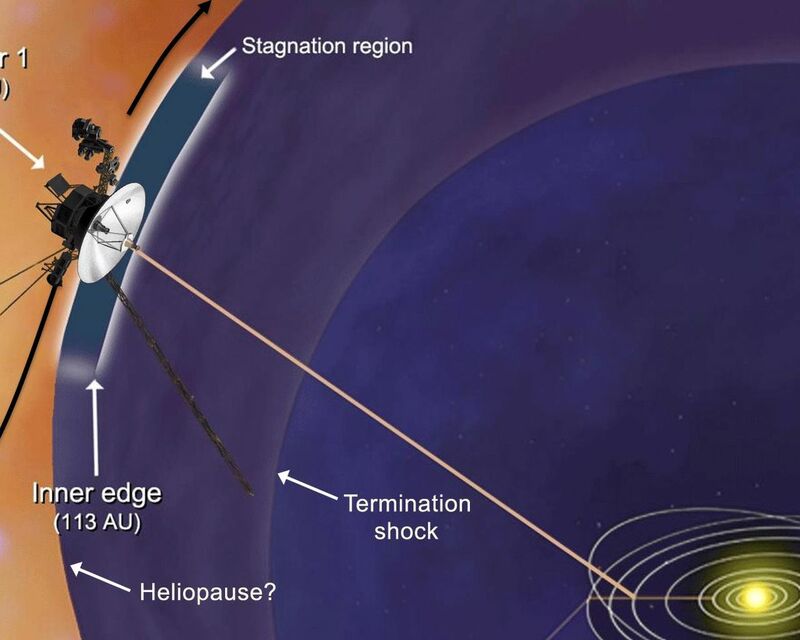 Voyager 1 crossed a shockwave known as the termination shock in 2004. At the termination shock, the solar wind slows down abruptly from supersonic speeds. 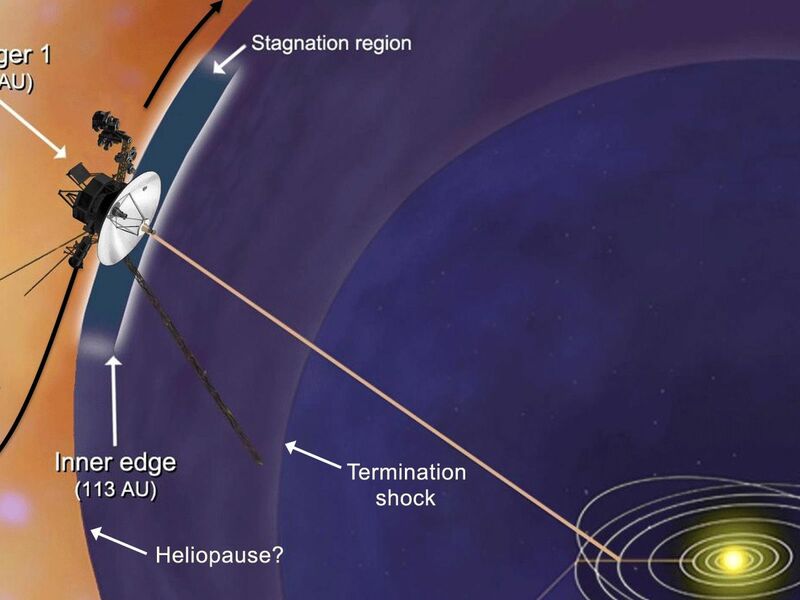 The heliopause is the boundary between the bubble of charged particles around our sun -- known as the heliosphere -- and interstellar space. Its location is still a mystery.